Registration for the live stream will close at midnight on 2 May 2018, to watch the sessions in real time and as they happen. NGS will offer all ten lectures as video recordings after the conference. Special value pricing for conference packages of video and audio recordings will be available for purchase only from 2-5 May. After 5 May, normal pricing will resume for video and audio packages. 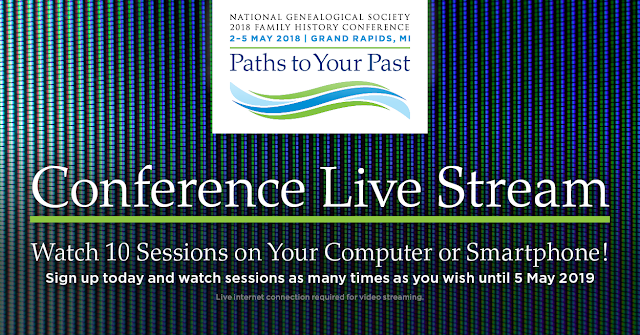 Live stream, conference specials, and post conference packages are available to order on the Conference Recordings page of PlaybackNGS.com. 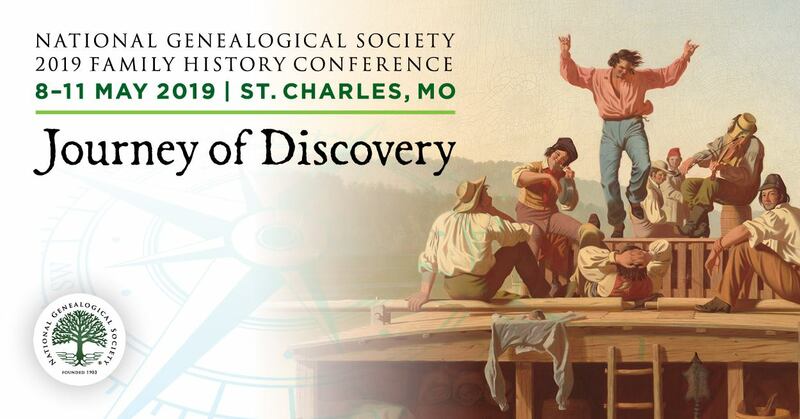 All registrants of packages will receive an electronic version of the NGS 2018 Family History Conference Syllabus. Reminder: If you are attending the 4-day event in Grand Rapids, online conference registration will close on 20 April 2018. Registration by mail must be postmarked by 20 April. Registration in person opens at noon on Tuesday, 2 May at the DeVos Place Convention Center.